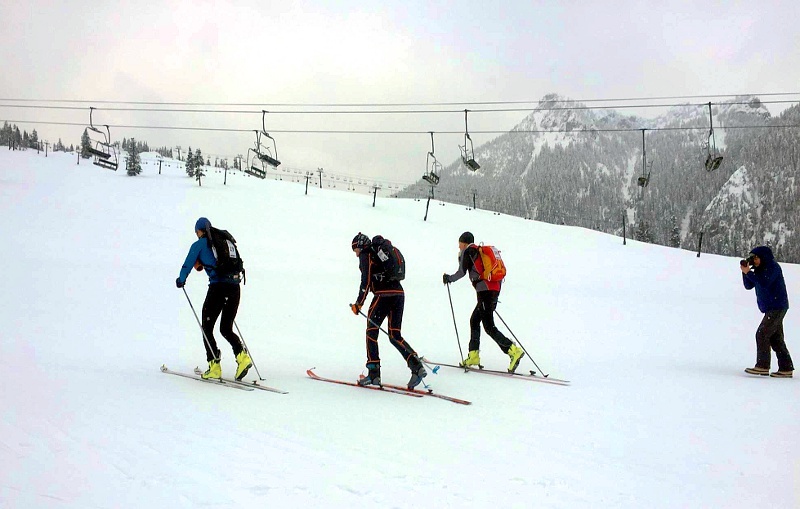 Team "Wet and Scrappy" starts from the base of Summit West ski area. 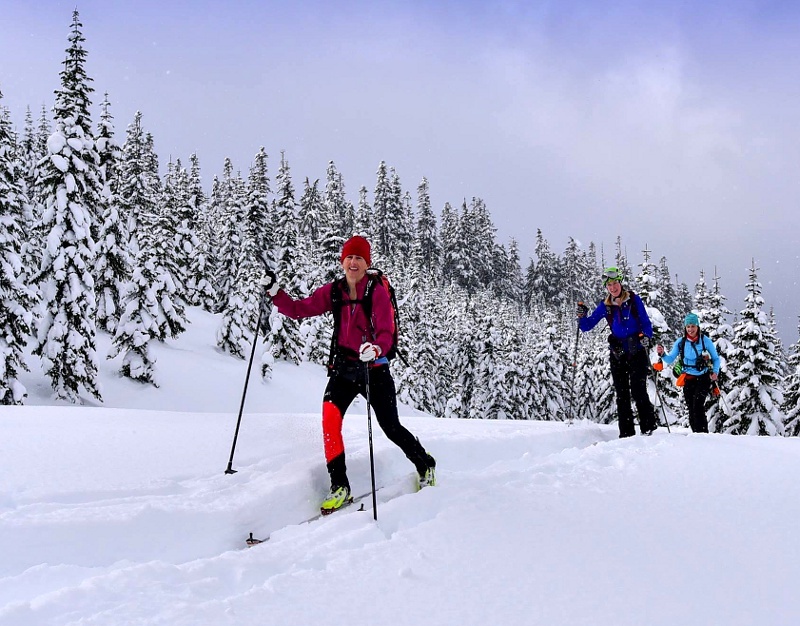 The third modern running of the Mountaineers' historic Patrol Race took place on Saturday, February 25.� Several photos have been posted on Facebook over the past few days, and I thought I'd share a few here on TAY. 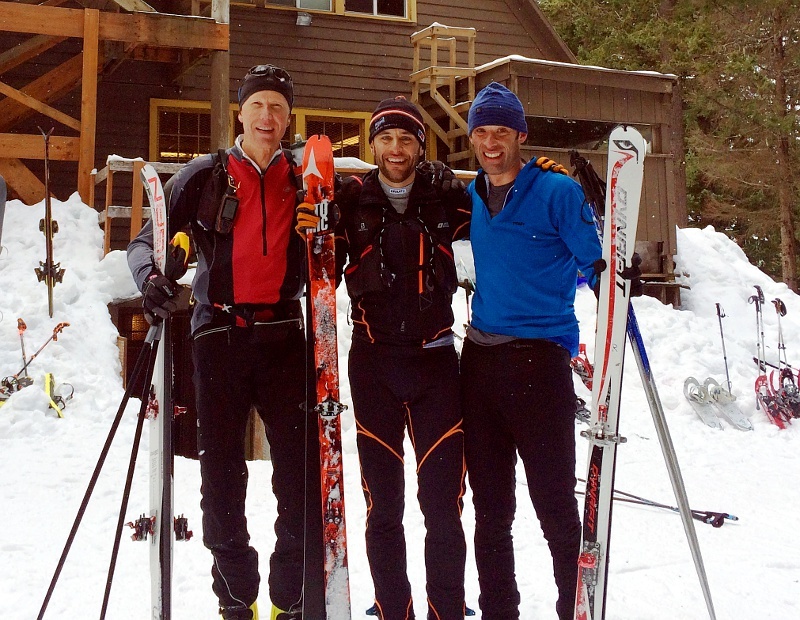 The 2017 event featured perfect racing conditions with cold weather, dry snow, and an exceptionally well-set trail.� This and a strong field enabled two open-division teams to break the modern record set in 2016.� The winning team, "Wet and Scrappy," also beat the 1936 record of 4 hours, 37 minutes, and 23 seconds which was established on a course 1-1/2 miles shorter than today's course. Target shooting at Checkpoint 1, a new addition in 2017. 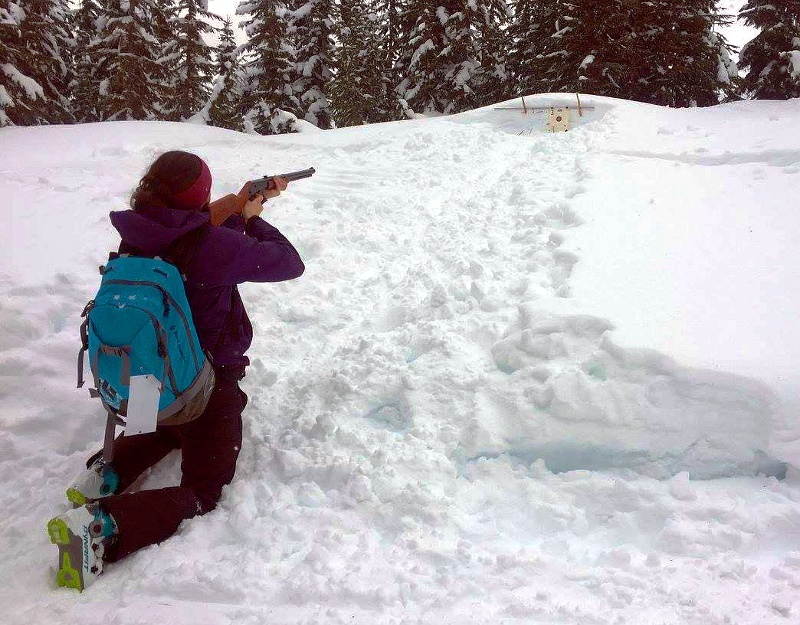 The Patrol Race appeals to skiers with varied interests and abilities, and this year the organizers added target shooting (with a B-B gun) and other prizes to help share the fun. Broken ski repair with duct tape and an avalanche probe earns team "Svenskis" the McGyver award. 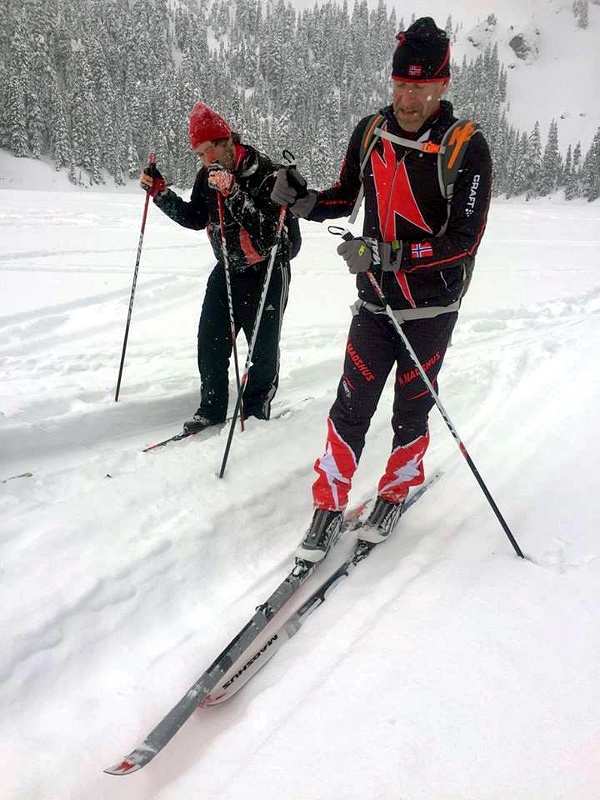 One team, the "Svenskis," attempted the oft-discussed tactic of using lightweight waxless cross-country skis (with skins for steeper climbs) for this year's race.� This experience led to a McGyver Award after one team member broke a ski and repaired it with duct tape and an avalanche probe.� The cross-country ski tactic remains intriguing, but unproven. 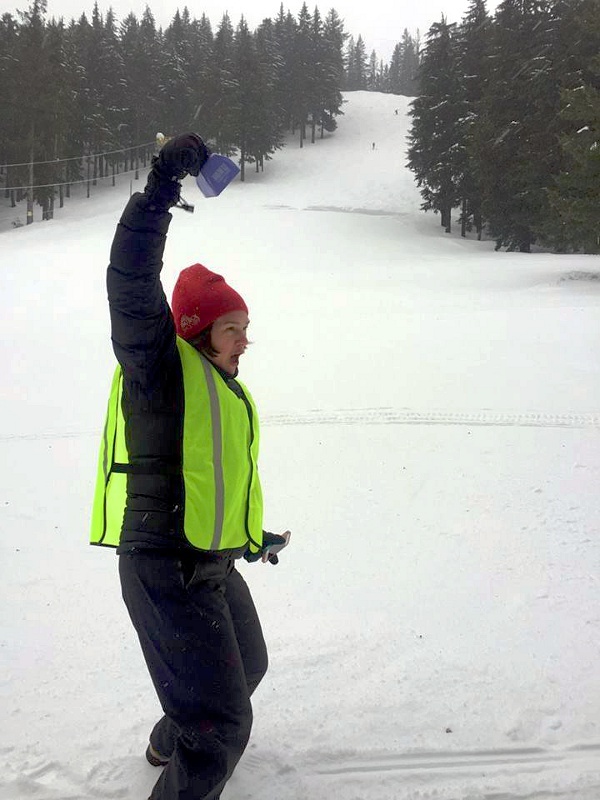 Tracy Fuentes leads the cheering at the Meany Lodge finish line. Near the finish line, the organizers directed teams toward the "The Lane," the steep signature run above Meany Lodge, which is reputed to have the longest, steepest, and fastest rope-tow in America. "Wet and Scrappy," open division winners (Lowell Skoog, Aaron Ostrovsky, Seth Davis). 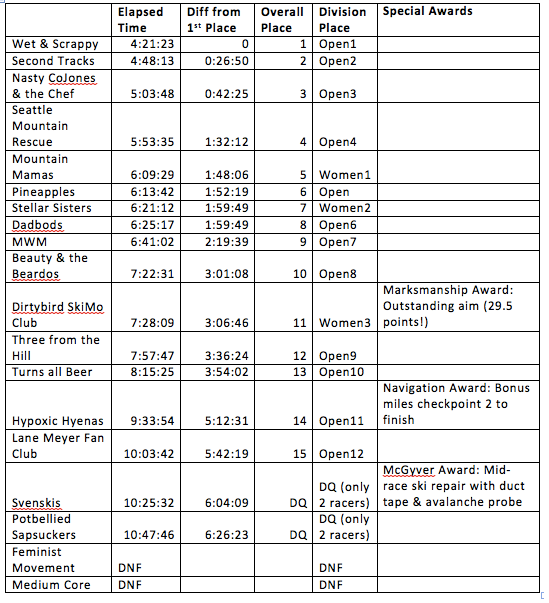 At the finish line, team "Wet and Scrappy" took first place in the open division with a new course record of 4 hours, 19 minutes, 23 seconds.� This time beat the 2016 record by over a half-hour. 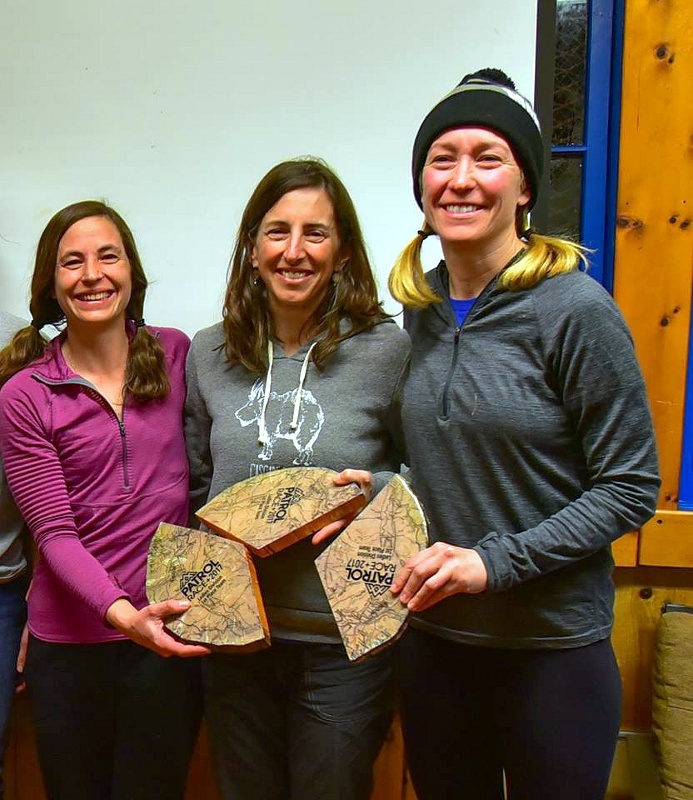 Team "Mountain Mamas" established a women's division record of 6 hours, 9 minutes, 29 seconds.� The names of both the open and women's division winners will be recorded on the perpetual trophy displayed in the Mountaineers Meany Lodge. 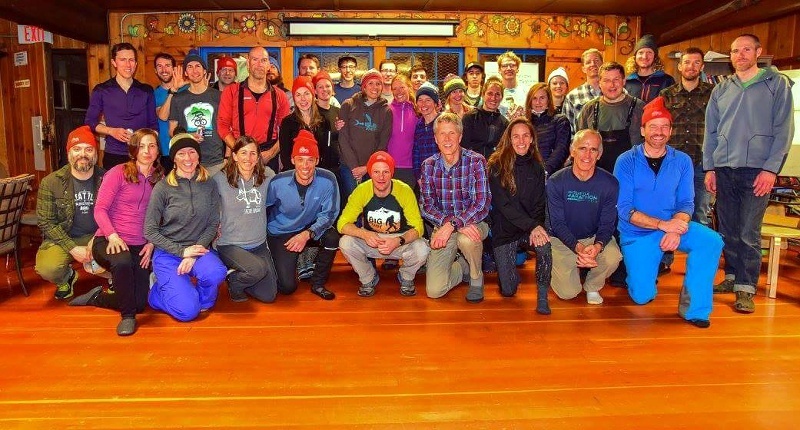 As always, Meany Lodge provided great food and hospitality and a comfortable place for racers to optionally spend the night.� Thanks go to Nigel Steere and his team of volunteers for hosting the smoothest and most successful Patrol Race yet!